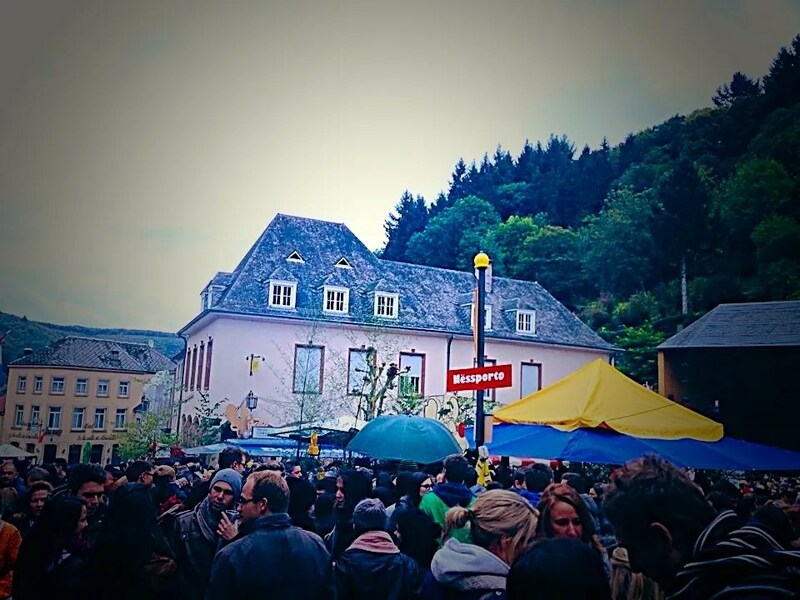 The Nut Market in Vianden (“Veiner Nessmoort“) is one of those events I tend never to skip in Luxembourg (like the National Party and the Schueberfouer). 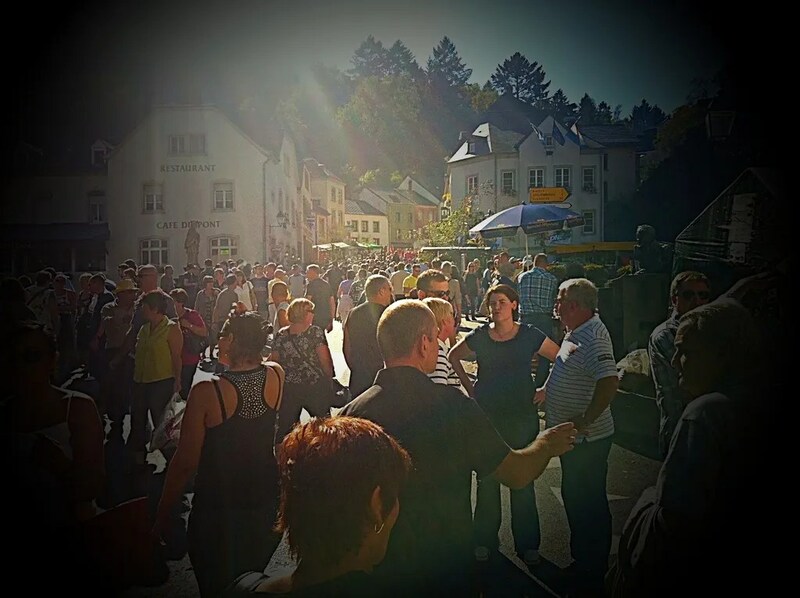 If you have never been there, you are lucky enough, because the festivity is going to be exactly this Sunday, October 11th – and normally each and every year takes place usually the second Sunday of October, along Vianden Gran-Rue. 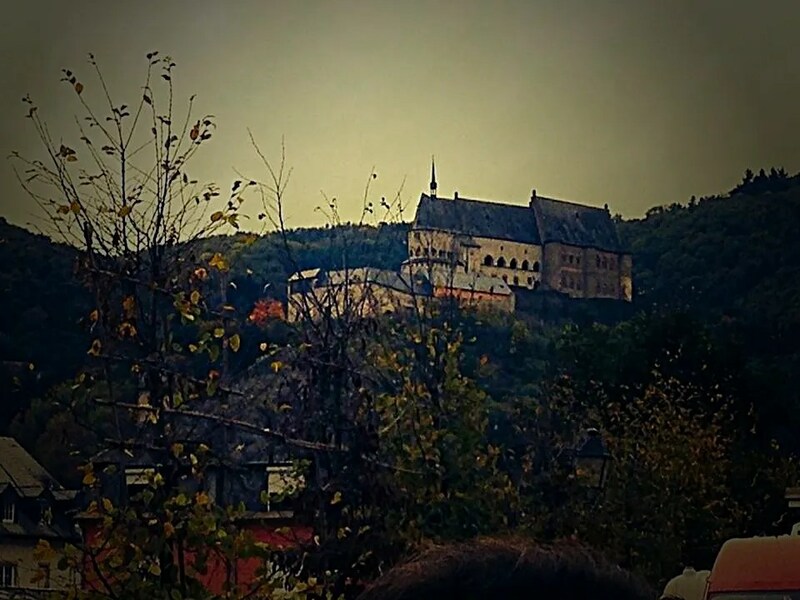 The small village of Vianden, in the North of Luxembourg, that with its castle is already very suggestive and romantic, becomes for one day a huge fair place, with activities for kids and adults, music, drinks and a lot of traditional food, most of which prepared with nuts. The Nut Market is starting in the morning, around 10 am, and there will be stands with nuts, products made with nuts (oh, try the nuts bread or the nuts pate’ please and tell me you don’t love them!). There will be stands selling the traditional Nut Liquor (Nëssdrëpp or Nut-Schnaps, made with still-green nuts put in the brandy), and as usual Luxembourgish biers and sausages, Spätzle, flammkuchen and potatoes. For the kids, there will be stands with music and activities and they can buy them the small pot of nuts, wrapped in the traditional red hanky, to bring home. – Try to arrive not too late (12ish is already a good deal) and park at the P+R (Park&Ride) before getting to Vianden city center. The village will be crowded and most of the area will be only pedestrian for the day (Gran-Rue and Rue de La Gare will be closed until 7 pm). From the P+R there will be a bus shuttle that will deposit you just in the middle of the party, at Mont St. Nicolas, located at the footsteps of the castle. The shuttle is free. 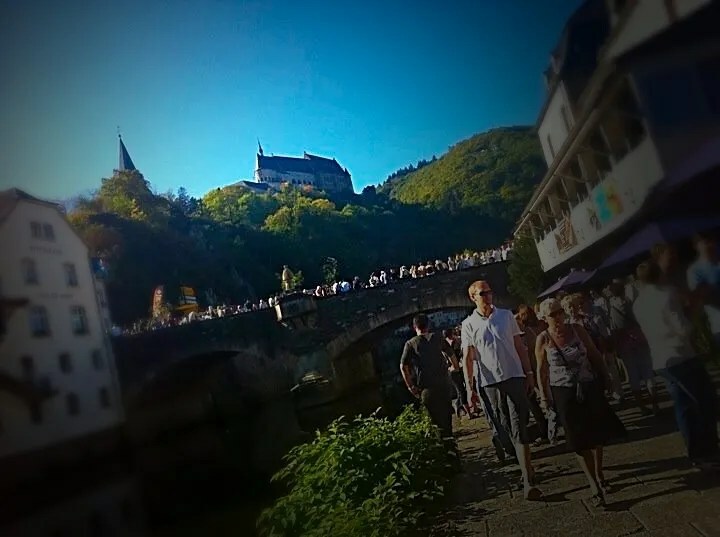 If you decide to stop before and park at the Camping du Moulin in the valley, Benni, the famous touristic train of Vianden, will drop you at the main bus station in the Lower-Town of Vianden. – Take cash with you. There is only one ATM – cash machine in Vianden city center and normally it is always packed or out of order. Most of the stands are not accepting credit cards and at that point will be too late to go somewhere else to withdraw money. Count not only the cash you would need for your lunch/snack and drinks, but also for “take away products” you would be glad to have bought (bottles of nut liquor for Christmas or nut salami to keep in the fridge and surprise your guests). – Have a sober driver. With biers and nut liquors, you might be tempted to drink a glass too much. While drinking and driving is always not a good idea, in this case it can be particularly dangerous, as controls out of the village will be going on all day long to avoid accidents on the pretty long way back to the city. 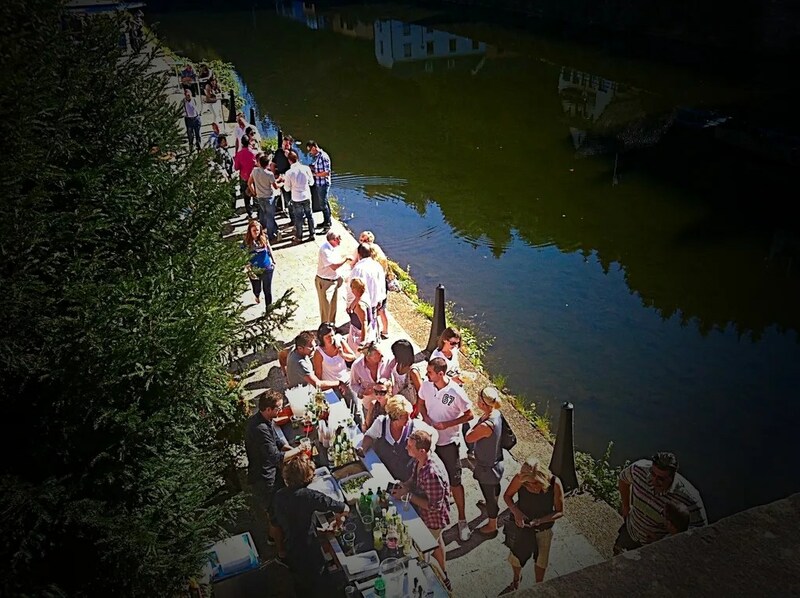 – If you are (or you feel) young, after you visit the market, had your sausage and your bier, you can move down to the river side, where one of the bar down the main bridge, Auberge de l’Our, arranges a great after party with mojito, champagne and disco music. Have fun then & send us your best pictures of the Nessmoort – these are some of mine from previous years! I have never been to this event. Would have considered it if I didn’t have plans for Sunday already. Hope you’ll enjoy and share more pics! Same here! Hope to see you there!